YMV manufactures effective knuckle boom cranes when space on deck is limited. YMV knuckle boom cranes capacity may vary from 1 ton 50 T. Outreach of boom can be between 6 -35 Meter. 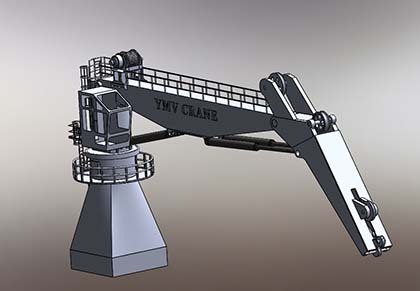 YMV knuckle boom cranes are widely used in supply vessels.